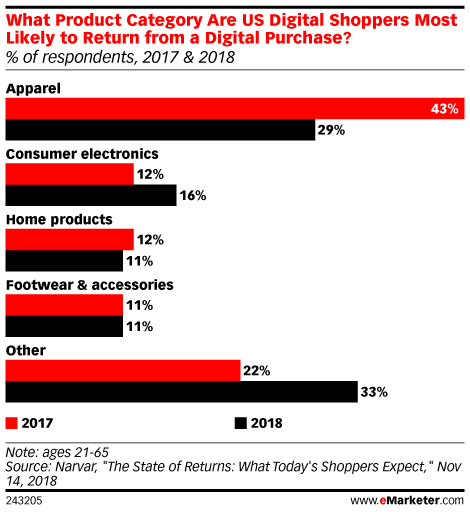 Data is from the November 2018 Narvar report titled "The State of Returns: What Today's Shoppers Expect." Around 1,300 US digital shoppers ages 21-65 who had made a purchase digitally in the last six months were surveyed online from September 13-15, 2018. Narvar is a shipping and delivery solutions platform for retailers.